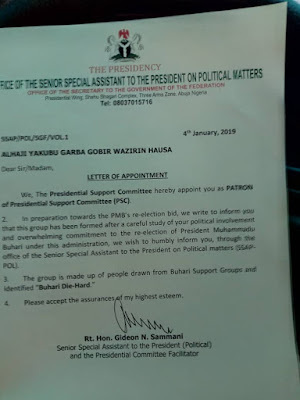 Following the appointment of one of the most vibrant Kwara All Progressives Congress youth Ambassador Yahya Seriki Gambari by the National Support Committee of Buhari and Osinbajo Campaign. This indeed is another great plus to Kwara State APC As Buhari Presidential Support Committee Appoints Alhaji Yakubu Gobir Olayiwola (Waziri Hausa) as the committee Patron. Alhaji Yakubu Gobir, the former APC gubernatorial Aspirant and also the president of Gobir Organization was appointed as the Patron of Buhari Presidential Support Committee due to his political involvement and commitment towards the re-election bid of president Muhammadu Buhari and Vice presidential Yemi Osinbajo. 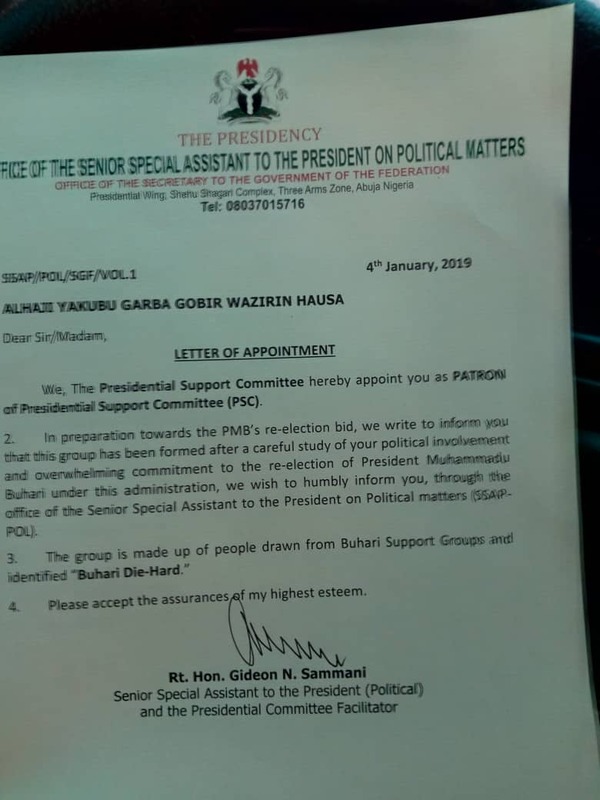 Waziri who got his letter of appointment through the office of the Senior Special Assistant to the President on Political Matters expressed his happiness over the appointment and he also promise to give in his best to achieve beyond the committee's expectations. "I am honored to have this great task bestowed on me. This is a very big task for me but inshaallahu I will give in all my best to achieve beyond the committee's expectations. So may God help me" He commented.